Earlier this year, the much needed, very awesome campaign for #WeNeedDiverseBooks took off in April and since then, it has been inspiring change in readers, bloggers and authors alike, who are demanding more diversity. And in the past month, through the money raised through Indiegogo, it's only further proven the fact just how passionate people are about this; I am, too. Inspired by the campaign, one thing led to another and soon I had an idea - to host a diverse reading challenge in 2015. I was beyond excited, but I also knew I'd need some help to run it. 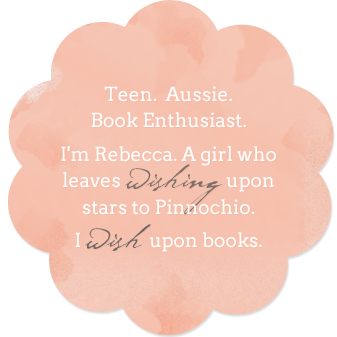 So I reached out to one of my favourite blogs and co-blogger team, Estelle and Magan from Rather Be Reading. It turns out, they also liked the idea! And so, Dive into Diversity was born and the rest is history. We want to keep this stress-free and fun, so all we challenge you to do is read and review diverse books in 2015. However many is up to you. But remember: the more you read, review, discuss, the better! How can I discover books to read throughout the challenge? Jasper Jones by Criag Silvey - This book has YA/Adult crossover (I found my copy in the A section of the library) and the secondary character, who the book is actually named after, is Aboriginal. A wonderfully woven mystery with depth and character. Super cool fact: the author is from Western Australia (where I live) and is set in places I know of. Why not? Not only is it going to be a fun, but it's going to support diverse books. Other cool things you can expect throughout the year: diverse posts, giveaways, maybe some challenges, lots of interaction. 3. Don't forget to use #DiversityDive to chat, share book recs, let others know what you're currently reading and more on Twitter. - Dive into Diversity runs from January 1st, 2015 to 31st of December 2015. - Any book format is allowed - hardback, paperback, ebook, ect. Who's ready to Dive into Diversity? My favourite diverse book so far has to be Will Grayson, Will Grayson by John Green. I absolutely loved it. Thanks, Natalie! So glad to hear that! We're excited, too :) I've yet to read Will Grayson, Will Grayson but I'll be keeping my eye out for it. What I've read of J.G. so far I've enjoyed and the last book by D.L. blew me away. Thanks, Serena! So great to hear you're excited for the challenge! I'd love and appreciate it if you shared it with other Aussies! Please do! I can't wait to read Aristotle and Dante, it's definitely on my list! I was about to run a Diversity Challenge with my students. This is perfect! Thanks! I included a bunch of diversity themed squares in my SF/F bingo challenge for next year, and I've been looking for more diverse books, so this is exciting! Thanks! We're excited, too, especially the response we've received so far! Thanks Mel, I'm sure we will! I'm working on my sign-up post and will come back to link up. Oh my gosh I was just reading through this post again, and I saw your recommendation for Jasper Jones. I live in WA as well! We had to read JJ for Literature class in year 11, did you have to read it for school as well? I thought it'd be another one of those boring "you must read this or you will fail English" books but it was actually amazing. Can't believe Craig Silvey is from WA as well! So good. Thanks for this challenge. It is actually my #1 life (not just reading) goal for 2015 to read more diversely. I signed up using my GoodReads shelf I set up for this challenge. Thanks for allowing non-book bloggers to sign up! You're welcome, glad and excited to host! Thanks for hosting such a simple challenge. I'm really looking forward to diversifying my reading this year. This is such a great idea and challenge! I love that it's stress free. One of my reading resolutions for 2015 was to read more diverse books, and I've already got a few planned that deal with mental illness. So much excitement, thanks for hosting this Becca. Thanks, Jaz! Glad to have you onboard. Happy reading and I hope you discover some fantastic diverse books throughout the year! I've just signed up, a little late to the party! Looking forward to participating. From one Rebecca to another ... this is such a wonderful idea! Looking forward to seeing news of the first linky in my RSS reader soon! This is a brilliant idea. I'm a little late but count me in! Hi, I I saw your challenge and I was curious if it's only for YA/MG books. I read and review adult Adult/New Adult diverse books and was wodering if I could join in. Thank you so much for doing this! Diversity, especially racially diversity, has been extremely important to me and am glad to see others expanding their reading! I will be signing up, thank you!